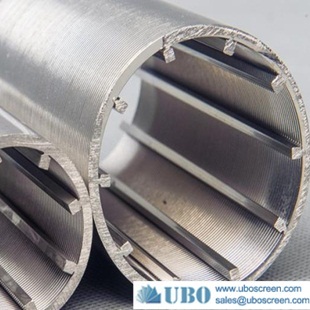 what are advantages for UBO production of stainless steel wedge wire slot screen pipe? 2.We can make the different specification and raw material according to customer's actual needs(maily have stainless steel and carbon steel),ensure the reasonable investment and save the production costs. 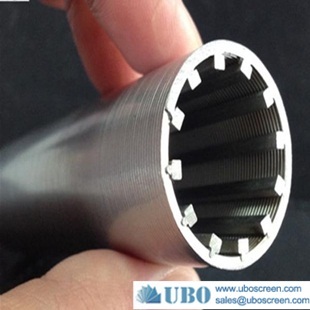 3.The screen pipe joints can also be produced according to the different needs. 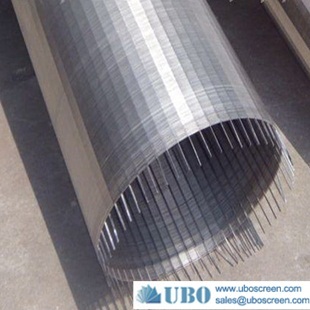 4.Non-stainless steel products can be galvanized, plastic-coated protective layer formation. the surface looks beautiful and clean. 5.The product is widely used in the oil and gas industry, chemical, paper and water treatment industries. 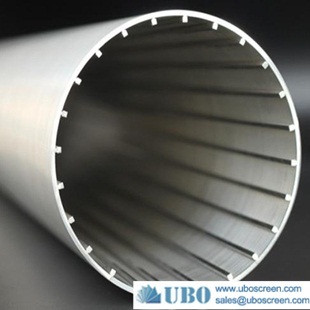 The surface smooth, and slot aperture,easily blocking hole, and in the filter device uniform spray high strength nontoxic industrial plastic, to enhanced filter device of acid, and alkali capacity, and can reduced electrochemical reflect and biological chemical reactions, by physical test and actual application, resistance temperature can reached 150 ℃ following, effective to prevent alkaline material in filter network in the formed scaling, greatly improve using life, its life above wire and wire filter device of 3 times times. Note:Our company can do pipe diameter range: from 25mm to 2400mm, gap minimum up to 0.025mm we look forward to your participation.